We’ve been traveling pretty slowly the past month, finding our way again into the traveling groove. When we set out on this lengthy adventure, we initially thought, “Let’s go cross country, up to New England, into Nova Scotia, then down along the East Coast, and then to Florida, and…” at that point, I think I had an anxiety attack. When we were still in the midst of trying to pack up our home and get on the road, what sounded most appealing was to take a familiar route. Thus, we headed back to Lopez for the summer. It was a great decision. Being there was wonderful, as always, and allowed us to regain some sense of balance before heading off into unknown territory. Our plan was always to head for Yellowstone after leaving Lopez. We weren’t exactly sure of the route we would take, but heading straight east seemed like the logical thing to do. It’s interesting how the further east you go, the more western the towns and landscape become (at least for a while). 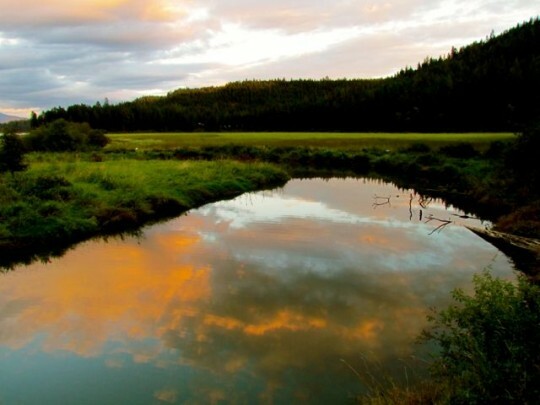 Our route took us from the farming communities of the Skagit Valley, over the Cascade Mountains, through the rolling plains of eastern Washington, along the Spokane River, through the panhandle of Idaho and into Montana. We spent just a day or two in each place, knowing that the weather was changing and that our window of opportunity for Yellowstone was narrowing. 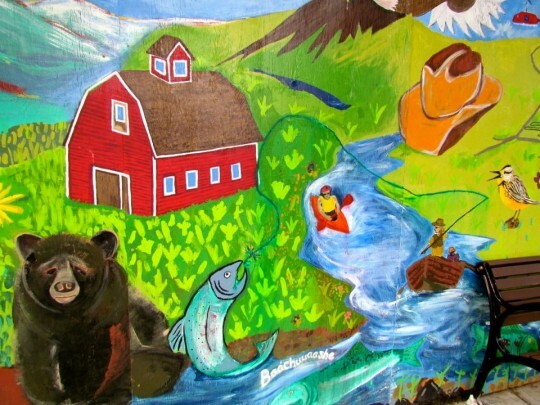 Edison, Washington: This tiny town—really, more of a wide spot in the road—offers a handful of unique cafes, art galleries, and honest-to-goodness curio shops. It’s not too far from Anacortes (the ferry port where we return to the mainland from Lopez), and we always try to time our travels so that we can enjoy breakfast at Tweet’s (a former filling station turned local foods cafe) and wander the streets for a bit. Riverside State Park, WA: A pretty state park with camping on the banks of the Spokane River; we hiked along the river and listened to the calls of osprey coaxing their fledglings out of the nest. 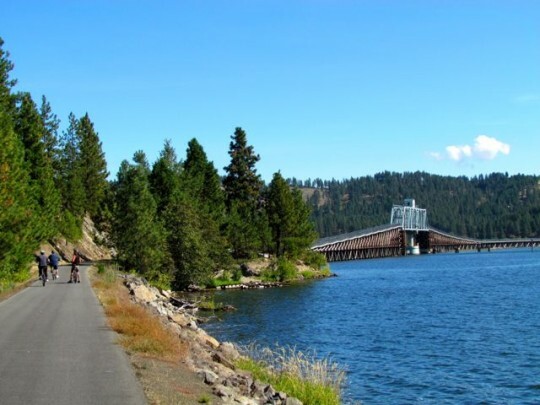 Heyburn State Park, ID: A great place to bike the Coeur d’Alene trail, a repurposed rails-to-trails 75-mile trail that runs from Plummer, Idaho to Mullen, Montana. We stayed two days and didn’t even unhitch the truck—we were able to pick up the bike trail from the park, which meanders along beautiful Lake Coeur d’Alene and over the Chacolet Bridge to the tiny town of Plummer. 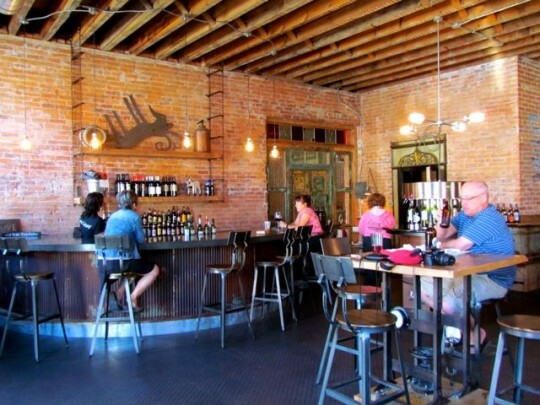 Wallace, ID: We discovered the pretty little mining town of Wallace en route to Missoula, Montana—it was lunchtime, and we had excellent tapas (tapas! in a dinky mining town!) at the Fainting Goat, a family enterprise launched just a few months ago in the old bank building (the vault is now the wine cellar). The food was excellent and the atmosphere stellar. Bozeman, MT: We camped at a KOA just outside of town, thinking it would be perfect because it’s located right next door to Bozeman Hot Springs. We happily walked over to the hot springs on Friday night anticipating a relaxed soak. Instead, we encountered hundreds of people stuffed into the pools—barely room for two more bodies—and a noise level equivalent to a raucous basketball game in an indoor stadium. We did enjoy exploring Bozeman, however. 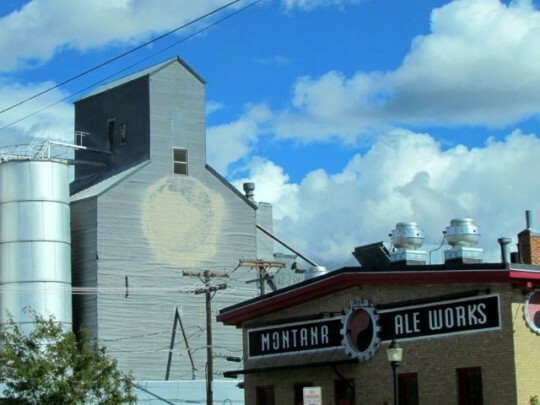 It’s an attractive town with a definite Western vibe—bison (bronzes, neon, and taxidermied), cowboys, and mills turned galleries. The highlight of our time there was a visit with our friend Kimberly in her beautiful studio/home. Glad to see an update from you guys. Been hankering for one! Haha, you are absolutely right. I think the whole town is one block long. Miss you and love you. I also had been hankering for more vicarious travel with you guys. Certainly not disappointed. I’m surprised that you seem to find such great food all across the country. 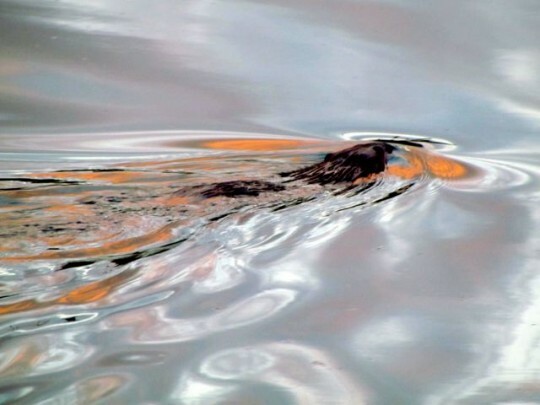 Love the beaver tail shot!!! Glad you liked the beaver tail trail shot — It was one of my favorites from that day.